Long before erin the great became an artist, she was a quiet girl in a huge, loud family. In her silence, no one knew Erin was creating make believe worlds. In a closet or underneath the table (her favorite hiding spots), little Erin would conduct experiments in imagination. From an early age, she developed a strong love for art. Erin picked up many pencils and paintbrushes along the way, eventually receiving a degree in fine arts from the University of Tennessee, where her illustrations continued to take on a very imaginative, playful spirit. It was this spirit that carried Erin from the canvas to the children’s book. Erin has written and illustrated 2 books Just Beyond My Front Door and Mr. Mailbox Man Goes to Work. She and Kelly Young-Silverman have teamed up to make Evie and Knox Stories, the first story being Man in the Moon. For fun, Erin plays keys in the band, Imagination Head, with her husband. She has a baby Pterodactyl, Knox (the famous baby from Evie and Knox stories)! Come along on this charming adventure with Mr. Mailbox Man, a friendly and dependable blue mailbox. Walk in his shoes as he steps through his routine, with Mr. Mouse, Lighty the Lightbulb and more friends along the way. “Mr. 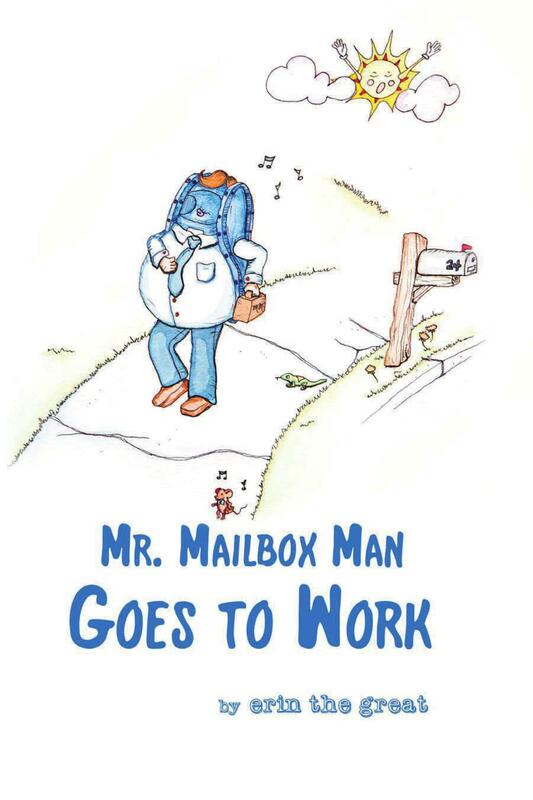 Mailbox Man Goes to Work” is designed to encourage your child to be the storyteller. The illustrations invite imagination and strengthen vocabulary while the child describes the events that take place. It is a great way to have a conversation with your little one! The story is highly imaginative and relies on fantastically detailed pictures to convey the story, forming a bridge of understanding between our physical world and our imaginary nature. It’s time to go to sleep. But one of the counting sheep from the Sweet Dream Team has gone missing. 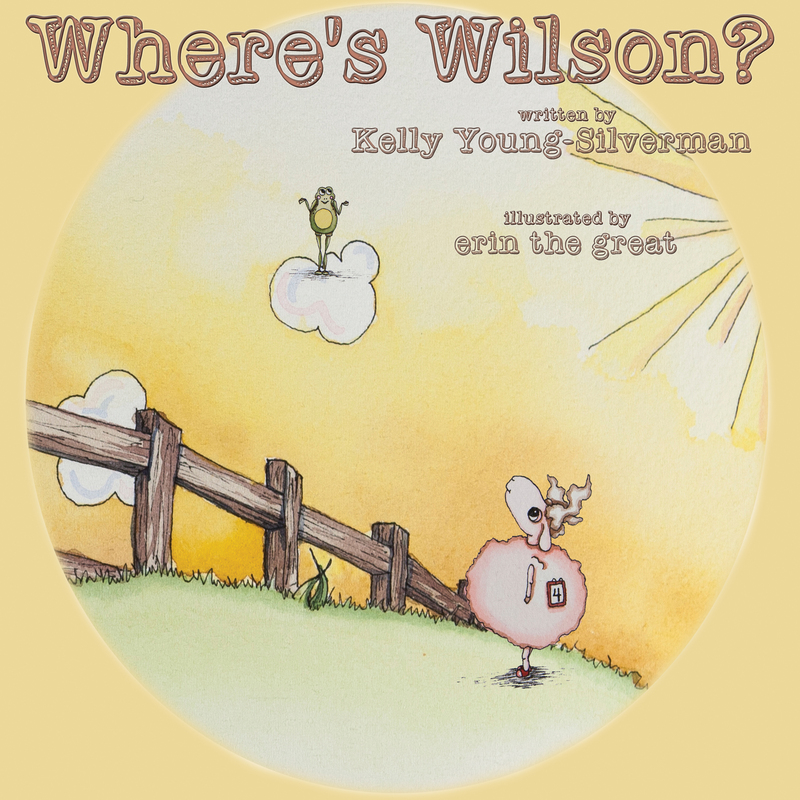 With bedtime soon approaching, and the town in a fuss, They need to find Wilson. They have to! They must! 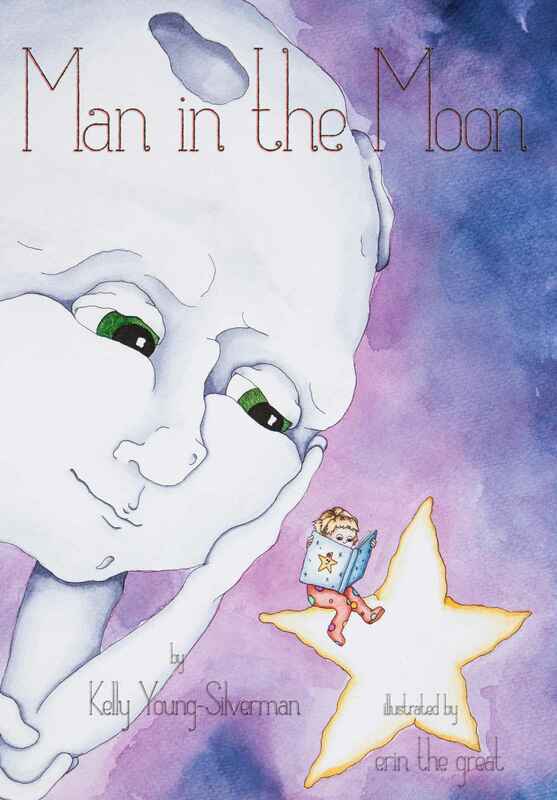 Man in the Moon is a beautifully illustrated story about an inquisitive little girl who reaches for the moon and finds a friend. This sweet rhyming tale follows our young heroine on a magical journey as she learns that any acquaintance can easily become a friend and no matter how small you may feel (especially compared to the great big moon) you are special to someone.